The humble leek is so often overlooked as a star in its own right. Google “leek recipes” on an image search and you’re met with recipe after recipe of pies and tarts and soups but to simply roast it really allows this wonderful allium to shine. I always grow leeks in my tiny garden but once they are all devoured I turn to my wonderful growers Bridget and Maureen over the border in Lincolnshire. I buy pretty much all my veg from these fab ladies every Sunday at my local car boot sale as they can’t be beaten on quality, freshness and price. 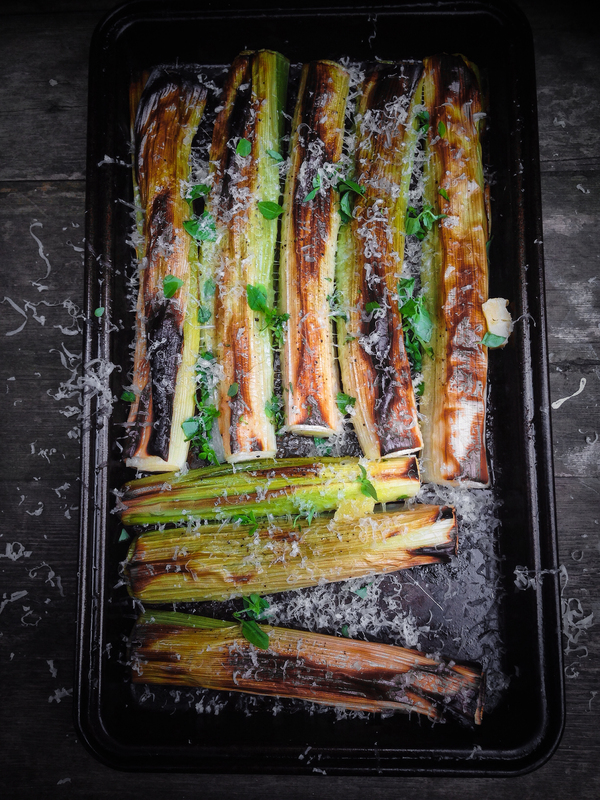 What better to accompany these Lincolnshire leeks than some finely grated smoked Lincolnshire Poacher cheese, an easy match made in flavour heaven and the easiest of starters or side dishes to make. 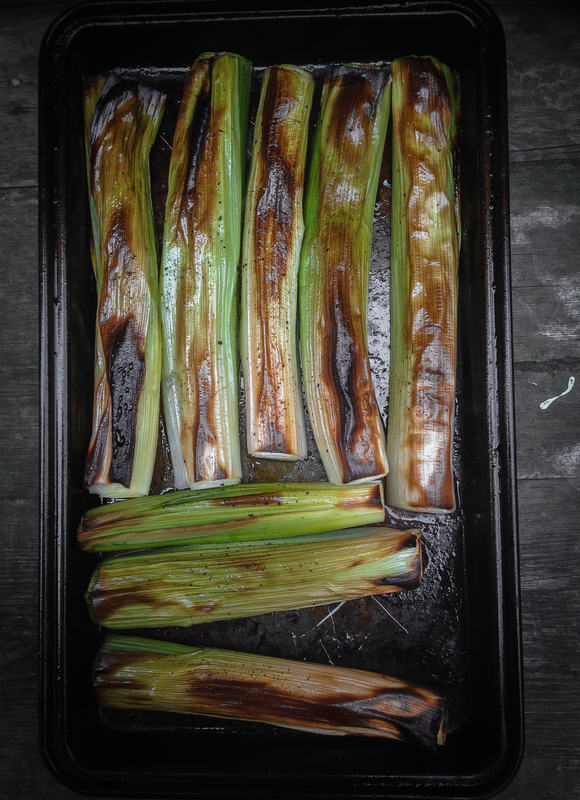 The charred outer skins take on a wonderful flavour and texture whilst inside the leek is soft and sweet. A goat’s cheese or Wensleydale would also work beautifully with this dish simply crumbled over before serving. 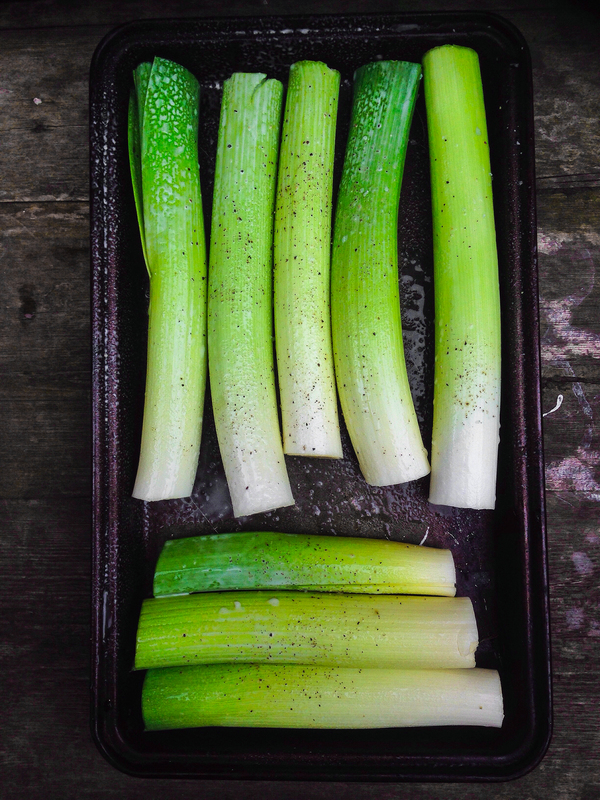 Trim the leeks to fit in a roasting tray. Spray lightly and sprinkle over some salt and pepper. Roast in a very hot oven (I use my max setting of 225C) for about 10 minutes or until they look like the above picture. Use a microplane to finely grate over your cheese, sprinkle with the Greek basil and serve immediately.